iClassPro’s Time Clock is now accessible through the Staff Portal. Staff members will be able to log into their Staff Portal to clock in and out and make time adjustment requests. After logging in, a two-punch employee can simply click clock in and then hit “I’m done” and get to work. At the end of the day, when they go to clock out, the process is similar; the employee will select “Clock out”. A one-punch employee will select “Clock-in”. After they do so, it will bring them to the following screen where they can review and accept their day’s schedule. After they have done so, they can hit “Accept & Log-Out” and will be done punching in for the day. An employee’s will also be able to make a variety of Time Adjustment Requests. An employee can select “Time Adjustment Requests”. Time Clock then is asked “What would you like to adjust?”. An employee can select “I forgot to clock in”, “My Current Clock in Time”, or “create an entirely new entry”. From here they will input the time and date that they were supposed to have clocked in and out, along with an optional explanation of the missed punches. 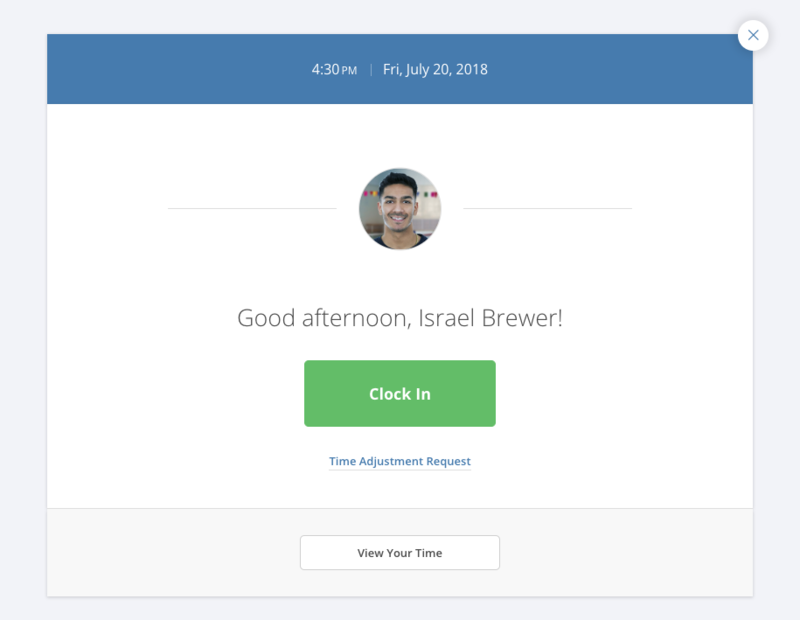 In order to access and use Time Clock within the Staff Portal, an employee must have Time Clock permissions and geo-tracking enabled on their device. For more information about using Time Clock in the Staff Portal, check out our support document here.